More than 200,000 U.S. soldiers serving in the Middle East have experienced a blast related traumatic brain injury, making it a common health problem and concern for that population. 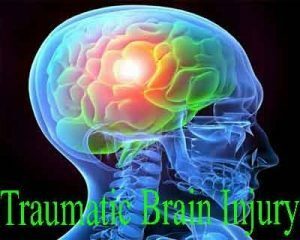 Traumatic brain injury (TBI) can have various harmful long-term neurological effects, including problems with vision, coordination, memory, mood, and thinking. According to the Centers for Disease Control and Prevention, TBI from a head injury is a leading cause of death and disability in the United States, and close to 5 million Americans soldiers and non-soldiers alike are currently living with a TBI-related disability. Current therapy for these patients involves supportive care and rehabilitation, but no treatments are available that can prevent the development of chronic neurological symptoms. Researchers from the University of Iowa believe they may have identified a potential approach for preventing the development of neurological problems associated with TBI. Their research in mice suggests that protecting axons the fiber-like projections that connect brain cells prevents the long-term neuropsychiatric problems caused by blast-related traumatic brain injury. In a recent study, the UI team led by Andrew Pieper, professor of psychiatry at the UI Carver College of Medicine, investigated whether early damage to axons an event that is strongly associated with many forms of brain injury, including blast-related TBI is simply a consequence of the injury or whether it is a driving cause of the subsequent neurological and psychiatric symptoms. When mice with the mutation experienced blast-mediated TBI, their axons were protected from damage, and they did not develop the vision problems, or the thinking and movement difficulties that were seen when mice without the mutation experienced blast-related TBI. The findings were published Oct. 11 in the online journal eNeuro. “Our work strongly suggests that early axonal injury appears to be a critical driver of neurobehavioral complications after blast-TBI,” says Pieper, who also is a professor of neurology, radiation oncology, and a physician with the Iowa City Veterans Affairs Health Care System. In confirming the critical relationship between axon degeneration and development of subsequent neurological complication, the new study builds on previous work from Pieper’s lab. The researchers also have discovered a series of neuroprotective compounds that appear to help axons survive the kind of early damage seen in TBI. These compounds activate a molecular pathway that preserves neuronal levels of NAD, the energy metabolite that has been shown to be critical to the health of axons. Pieper’s team previously demonstrated that these neuro protective compounds block axonal degeneration and protect mice from harmful neurological effects of blast-TBI, even when the compound are given 24 to 36 hours after the blast injury.